So it's been about 5 years since I've done any modelling and I've decided to try and get back into it. This is really more a project to help me remember/develop modelling, texturing, rendering and animation skills that I've either forgotten or never had in the first place. That's a good start. I like the animated turntable image. Bevelling the cockpit was a bit of a pain, so I completely redid the nosecone, fuselage and canopy with SubD...which was also a pain, but a good learning experience. 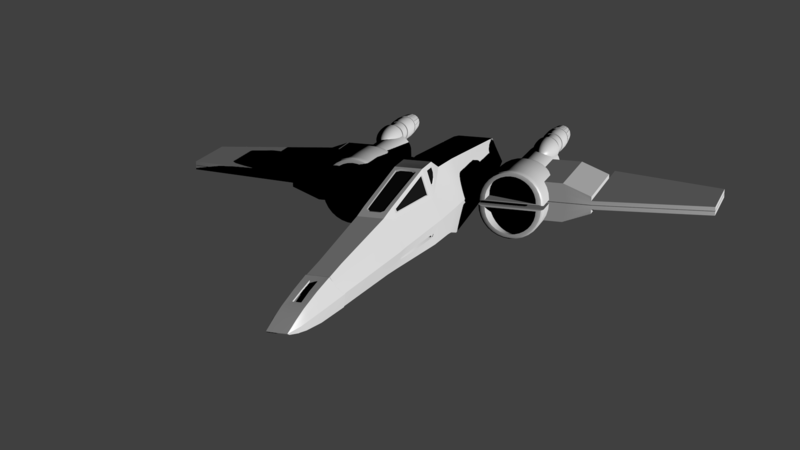 The topology isn't as neat as it could be, and might need some touch-ups later, but for now I'm happy with it. Started work on the wings. 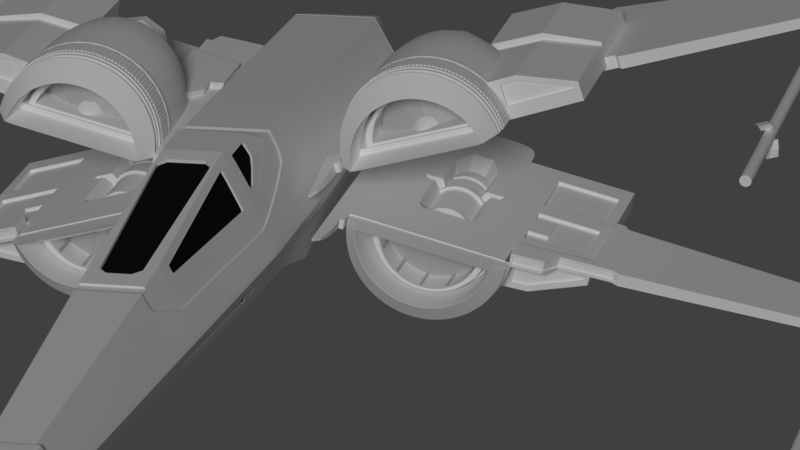 Placeholder engines and cannons.